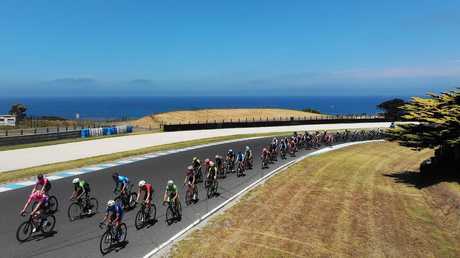 DAN McLay has vaulted into the Herald Sun Tour yellow jersey after a mid-race chat with teammate Mitch Docker laid the platform for a winning sprint on the Phillip Island MotoGP circuit. Title contenders Richie Porte, Michael Woods and Lucas Hamilton all finished safely in a front group of 12. 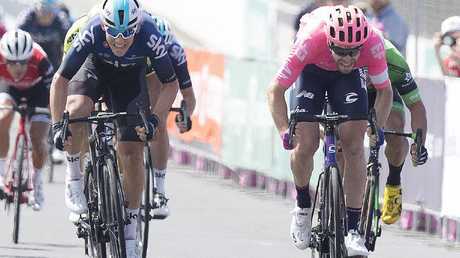 New Zealand-born Brit McLay, riding for EF Education First, said the tactical message from veteran Aussie Docker was crucial in the 22-lap race complicated by strong crosswinds whipping around the last corner. "Mitch came up to me half way through the race and said: 'If the wind doesn't change this is how we're going to do it' and we did it exactly how he said," McLay said. "It looks at the finish like Mitch hasn't done a lot, but he's on the left hand side pushing into the wind all the way around that last corner while other teams are using two guys. Then Tom Scully launches me down the last straight. "My eyes were stronger than my legs and I took a gear too big, but I just hung on to the line. "I had the bit between my teeth today. 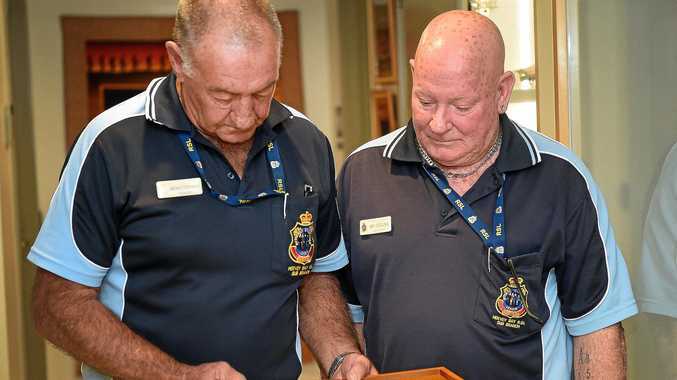 I knew it was time to pull my finger out." The win comes at an ideal time for McLay, who said he'd been riding his bike "since before it was cool". 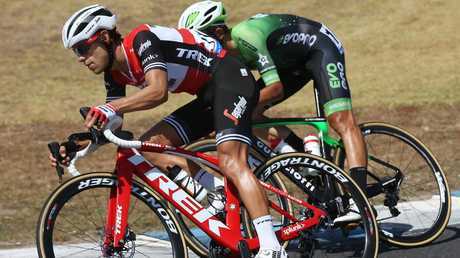 A podium finisher on Stage 6 of the 2016 Tour de France, the 27-year-old admitted the influx of fast men on the World Tour had been challenging and he endured a tough Tour Down Under in Adelaide earlier this month. "It's not for lack of trying or lack of motivation, but it's not easy to win bike races," McLay said. "I can reel off a list of sprinters now and there's 15 guys who are bloody quick. You look 10 years back and it's like, 'Is it Cav (Mark Cavendish) or (Marcel) Kittle or (Andre) Greipel?' but now there's 15 guys who are as quick as each other. "I've not had an exponential rise or anything. But I still feel I've got a lot to give and I'm pretty quick." McLay's win came after an opening day where multiple breakaways tried and failed on a 4.45km circuit policed by Porte's Trek-Segafredo. A group of 17 was brought to heel as quickly as it got away, before two three-man breakaways - both featuring Ayden Toovey - went off the front. Karl Michelin-Beard launched a Hail Mary solo bid for glory with two laps to go, but it was a stage destined to end in a bunch sprint. 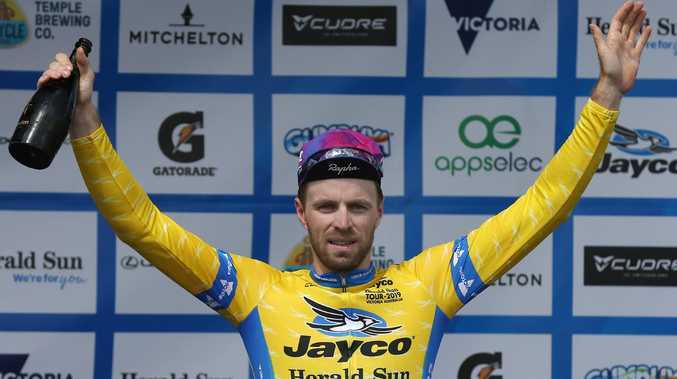 McLay will now take the yellow jersey into a hilly 127km Stage 2 from Wonthaggi to Churchill where he will switch into a domestique for Canadian climber Michael Woods.